This wine opens with delicate aromas of citrus blossom, honeydew melon, pear, flint and toasted almonds. The entry is silky with pear and citrus flavors. Refreshing acidity leads to a juicy finish, layered with toasted oak. 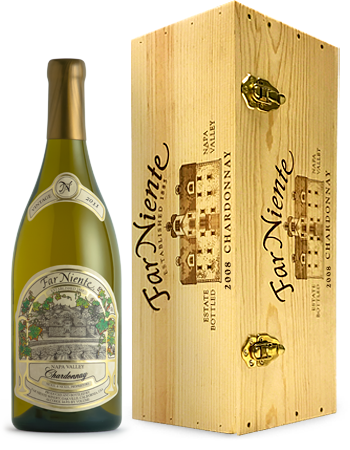 Far Niente Chardonnay is a blend of superlative Napa Valley vineyards, many of which are located in a little-known area called Coombsville, a cool growing region nestled in the rolling countryside and protected by the hills east of the city of Napa. Coombsville offers the characteristic climate of Carneros, with less wind, along with deeper, well-drained gravelly loam and volcanic ash soils. The combination of these spectacular vineyards results in the subtle, tropical flavors, complex aromas and uncommon richness that we have long associated with Far Niente Chardonnay.